Holy Week and Easter Services2019 Free Fresh Produce Markets – Volunteers WelcomeEvangelism Opportunity at Christ’s TableHelp St. John’s Through Amazon SmileJoin us for Sunday School! St. John’s Lutheran Church is a caring, sharing Christian community located in downtown Zanesville, Ohio at the corner of 7th and Market Streets. Directions to St. John’s. See also the St. John’s Parking Map for details on parking. We welcome everyone who wishes to share God’s Love and Grace with Joy, growing in our relationship with Jesus Christ, His Church and in our witness to the community and the world. Share your spiritual gifts with us as you help in God’s work. We have Worship and Bible study for all ages. Please join us this Sunday at 8 am or 10:30 am for Worship, with Sunday School at 9:15 am! We look forward to seeing you. 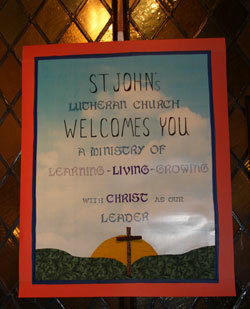 Feel free to explore more about St. John’s on this site, and find out more about joining us at our Worship services. Monday - Thursday. Closed Friday. 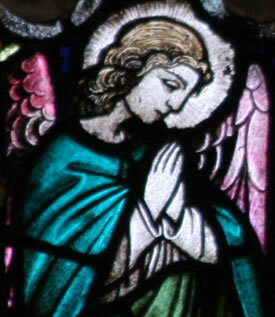 Contact us with your prayer request.